Did you know the bathroom is the most dangerous room of your house? It’s true! Nearly 22 million people in the United States age 15 and older are injured in the bathroom, according to a recent study by the Centers for Disease Control and Prevention (CDC), and almost 235,000 were hurt badly enough to seek treatment from an emergency department. Bathrooms are especially treacherous for seniors; people over the age of 65 had the highest rates of bathroom-related injuries in the CDC study. They also had the highest rate of fractures and were hospitalized more often. Of all age groups, seniors were the most prone to injuries resulting from getting on or off the toilet. Older adults also sustained a significant number of injuries in or around the tub or shower. Eight out of ten of the bathroom accidents involved falling. 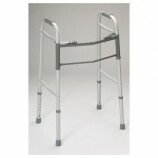 A number of these falls led to serious injury, such as hip fracture. 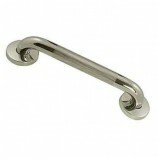 Many could have been prevented with the use of a grab bar. The CDC report included an editorial noting that, while 63 percent of homes in the U.S. had used nonskid strips or bathtub mats to reduce the risk for falls, only 19 percent of those houses had grab bars. While seniors face a special risk for injury getting on and off the toilet, showering and getting out of the shower is most hazardous for all age groups. The CDC study found that only 2.2 percent of injuries occurred when people were getting into the tub or shower, and 9.8 occurred as they got out. You can make your bathroom safer relatively easily. Keep the floor outside your tub or shower dry, for example, to reduce your risk for slipping when you step out. Apply non-slip tape to any surfaces that may become slippery, particularly in your tub or on the shower floor. A bit of tape will stop your feet from sliding on a wet surface. Use a shower chair and a handheld shower instead of standing in the shower. 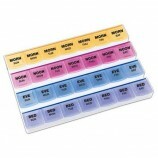 They make bathing safer as well as more comfortable and convenient. 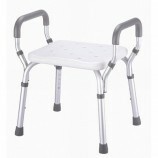 Transfer benches make getting in and out of the shower or bath safe and easy. 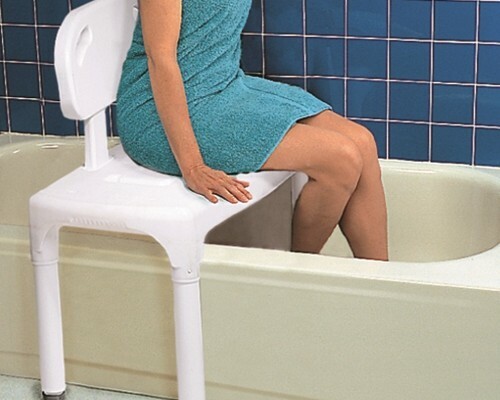 Simply stand with your heels against the tub or shower stall then sit on the transfer bench. Slide backwards on the chair then swing your legs into the tub. This is much safer than trying to lift one leg over the tub while standing on the wet, slippery floor with the other. Raised toilet seats help prevent falls. A raised toilet seat decreases the distance between the user and the toilet; sitting and rising from the raised toilet seat applies less stress to your hips and knees. Avoid the bathroom if you are weak or unsteady. 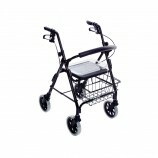 Commodes are a useful and safer alternative to walking to the bathroom, especially if you are at risk of falling. Install two sets of grab bars – one for getting in and out of the shower or bath and another to help you rise from the toilet. You do not have to implement all of these changes to improve bathroom safety but every change you make can make a big difference. Make the most dangerous room of your home a little safer with these bathroom safety tips.